The lead acid battery was invented in 1859 and hasn’t changed much since. It seems so simple. 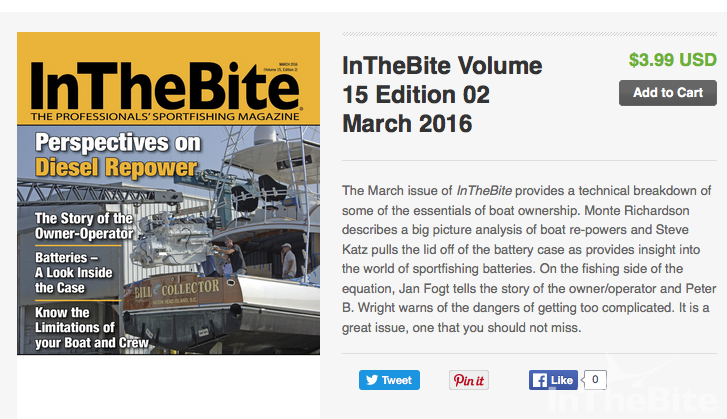 Why, then, do we seem to have so many problems with batteries in today’s modern boats? This summer while working on a large custom sportfish, I entered the engine room to work on a seawater pump and smelled the tell-tale rotten egg odor (hydrogen sulfide) that usually indicates a battery has been overcharged. I mentioned to the captain that he had at least one bad battery, since overcharging usually reduces the capacity or life of a battery. Sure enough, a week later I received the call from the captain indicating he had some battery problems. With eight individual batteries onboard, finding the bad battery and the cause is not always easy or fast. 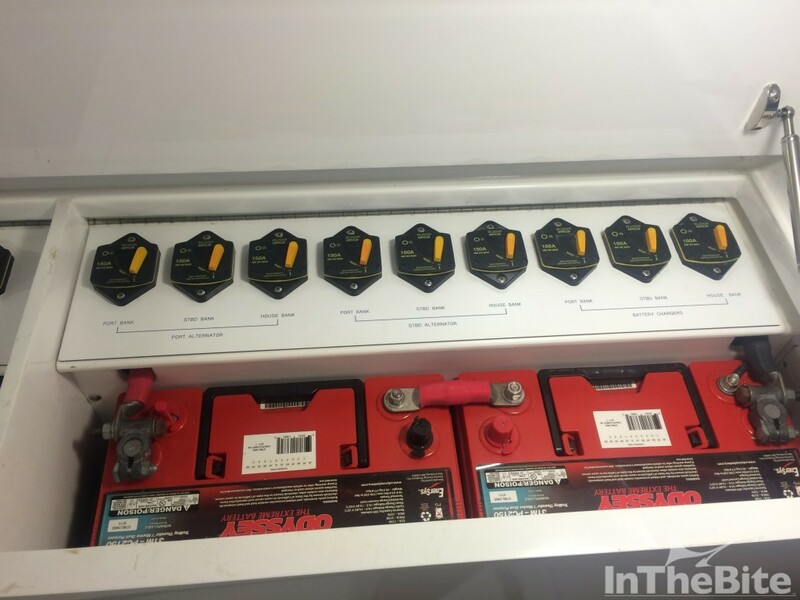 Once the bad house battery bank was located, I peeked into the battery box and complained to myself, “Why were starting batteries used in a deep cycle application?” You really need to know your application to select the correct type of battery for your boat. There seems to be some brands of batteries that provide better service for boat owners and there are some captains who insist on a brand that has worked well for them. Given all the varieties and applications in batteries, let’s cover the basics. Flooded, wet, AGM and gel batteries all use lead and sulfuric acid (electrolyte) to store electricity. AGM and Gel are similar– both are VRLA batteries (valve-regulated lead-acid batteries), also known as a sealed lead acid battery (SLA). These varieties are also known as maintenance free batteries. An AGM battery has fiberglass mesh between the lead battery plates which absorbs and contains the electrolyte. A gel battery has silica and other agents to convert the liquid sulfuric acid into a gel. The valve of the VRLA is a one way safety pressure relief valve to vent gases if and when necessary. Flooded or wet cell batteries have a liquid electrolyte between the lead plates. These types of batteries often have removable caps that allow you to check the electrolyte level and add distilled water as needed. The overcharging of a wet cell battery will cause………………………………. Click Here to continue reading this article.